François de la Rochefoucauld, the greatest maxim writer of France, one of her best memoir writers, and perhaps the most complete and accomplished representative of her ancient nobility, was born at Paris in the Rue des Petits Champs on the 15th of September 1613. The author of the Maxims, who during the lifetime of his father and part of his own most stirring years bore the title of Prince de Marcillac, was somewhat neglected in the matter of education, at least of the scholastic kind; but he joined the army before he was sixteen, and almost immediately began to make a figure in public life. He had been nominally married a year before to Andrée de Vivonne, who seems to have been an affectionate wife, while not a breath of scandal touches her -- two points in which La Rochefoucauld was perhaps more fortunate than he deserved. For some years Marcillac continued to take part in the annual campaigns, where he displayed the utmost bravery, though he never obtained credit for much military skill. Then he passed under the spell of Madame de Chevreuse, the first of three celebrated women who successively influenced his life. Through Madame de Chevreuse he became attached to the queen, Anne of Austria, and in one of her quarrels with Cardinal Richelieu and her husband a wild scheme seems to have been formed, according to which Marcillac was to carry her off to Brussels on a pillion. These caballings against Richelieu, however, had no more serious results (an eight days' experience of the Bastille excepted) than occasional exiles, that is to say, orders to retire to his father's estates. After the death of the great minister (1642), opportunity seemed to be favorable to the vague ambition which then animated half the nobility of France. Marcillac became one of the so-called importants, and took an active part in reconciling the queen and Condé in a league against Gaston of Orleans. But the growing credit of Mazarin came in his way, and the liaison in which about this time (1645) he became entangled with the beautiful duchess of Longueville made him irrevocably a Frondeur. He was a conspicuous figure in the siege of Paris, fought desperately in the desultory engagements which were constantly taking place, and was severely wounded at the siege of Mardyke. In the second Fronde Marcillac followed the fortunes of Condé, and the death of his father, which happened at the time (1650), gave rise to a characteristic incident. The nobility of the province gathered to the funeral, and the new Duke de La Rochefoucauld took the opportunity of persuading them to follow him in an attempt on the royalist garrison of Saumur, which, however, was not successful. We have no space to follow La Rochefoucauld through the tortuous cabals and negotiations of the later Fronde; it is sufficient to say that he was always brave and generally unlucky. His run of bad fortune reached its climax in the battle of the Faubourg Saint Antoine (1652), where he was shot through the head, and it was thought that he would lose the sight of both eyes. It was nearly a year before he recovered, and then he found himself at his country seat of Verteuil, with no result of twenty years' fighting and intriguing except impaired health, a seriously embarrassed fortune, and some cause for bearing a grudge against almost every party and man of importance in the state. He spent some years in this retirement, and he was fortunate enough (thanks chiefly to the fidelity of Gourville, who had been in his service, and who, passing into the service of Mazarin and of Condé, had acquired both wealth and influence) to be able to repair in some measure the breaches in his fortune. He did not, however, return to court life much before Mazarin's death, when Louis XIV was on the eve of assuming absolute power, and the turbulent aristocratic anarchy of the Fronde was a thing utterly of the past. Somewhat earlier, La Rochefoucauld had taken his place in the salon of Madame de Sablé, a member of the old Rambouillet coterie, and the founder of a kind of successor to it. It was known that he, like almost all his more prominent contemporaries, had spent his solitude in writing memoirs, while the special literary employment of the Sablé salon was the fabrication of Sentences and Maxims. In 1662, however, more trouble than reputation, and not a little of both, was given to him by a surreptitious publication of his memoirs, or what purported to be his memoirs, by the Elzevirs. Many of his old friends were deeply wounded, and he hastened to deny flatly the authenticity of the publication, a denial which (as it seems, without any reason) was not very generally accepted. Three years later (1665) he published, though without his name, the still more famous Maxims, which at once established him high among the men of letters of the time. About the same date began the friendship with Madame de la Fayette, which lasted until the end of his life. The glimpses which we have of him henceforward are chiefly derived from the letters of Madame de Sévigné, and, though they show him suffering agonies from gout, are on the whole pleasant. He had a circle of devoted friends; he was recognized as a moralist and man of letters of the first rank; he might have entered the Academy for the asking; and in the altered measure of the times his son, the prince de Marcillac, to whom some time before his death he resigned his titles and honors, enjoyed a considerable position at court. Above all, La Rochefoucauld was generally recognized by his contemporaries from the king downward as a type of the older noblesse as it was before the sun of the great monarch dimmed its brilliant qualities. This position he has retained until the present day. He died at Paris on the 17th of March 1680, of the disease which had so long tormented him. La Rochefoucauld's character, if considered without the prejudice which a dislike to his ethical views has sometimes occasioned, is thoroughly respectable and even amiable. Like almost all his contemporaries, he saw in politics little more than a chessboard where the people at large were but pawns. The weight of testimony, however, inclines to the conclusion that he was unusually scrupulous in his conduct, and that his comparative ill-success in the struggle arose more from this scrupulousness than from anything else. He has been charged with irresolution, and there is some ground for admitting the charge so far as to pronounce him one of those the keenness of whose intellect, together with their apprehension of both sides of a question, interferes with their capacity as men of action. But there is no ground whatever for the view which represents the Maxims as the mere outcome of the spite of a disappointed intriguer, disappointed through his own want of skill rather than of fortune. His importance as a social and historical figure is, however, far inferior to his importance in literature. His work in this respect consists of three parts -- letters, Memoirs and the Maxims. His letters exceed one hundred in number, and are biographically valuable, besides displaying not a few of his literary characteristics; but they need not further detain us. The Memoirs, when they are read in their proper form, yield in literary merit, in interest, and in value to no memoirs of the time, not even to those of Retz, between whom and La Rochefoucauld there was a strange mixture of enmity and esteem which resulted in a couple of most characteristic "portraits." But their history is unique in its strangeness. It has been said that a pirated edition appeared in Holland, and this, despite the author's protest, continued to be reprinted for some thirty years. It has been now proved to be a mere cento of the work of half a dozen different men, scarcely a third of which is La Rochefoucauld's, and which could only have been possible at a time when it was the habit of persons who frequented literary society to copy pell-mell in commonplace books the manuscript compositions of their friends and others. Some years after La Rochefoucauld's death a new recension appeared, somewhat less incorrect than the former, but still largely adulterated, and this held its ground for more than a century. Only in 1817 did anything like a genuine edition (even then by no means perfect) appear. The Maxims, however, had no such fate. The author re-edited them frequently during his life, with alterations and additions; a few were added after his death, and it is usual now to print the whole of them, at whatever time they appeared, together. Thus taken, they amount to about seven hundred in number, in hardly any case exceeding half a page in length, and more frequently confined to two or three lines. The view of conduct which they illustrate is usually and not quite incorrectly summed up in the words "everything is reducible to the motive of self-interest." But though not absolutely incorrect, the phrase is misleading. The Maxims are in no respect mere deductions from or applications of any such general theory. They are on the contrary independent judgments on different relations of life, different affections of the human mind, and so forth, from which, taken together, the general view may be deduced or rather composed. Sentimental moralists have protested loudly against this view, yet it is easier to declaim against it in general than to find a flaw in the several parts of which it is made up. 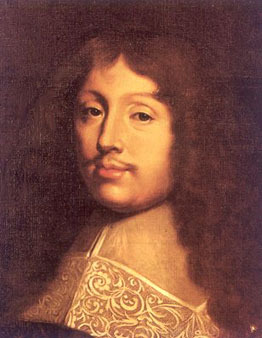 With a few exceptions La Rochefoucauld's maxims represent the matured result of the reflection of a man deeply versed in the business and pleasures of the world, and possessed of an extraordinarily fine and acute intellect, on the conduct and motives which have guided himself and his fellows. There is as little trace in them of personal spite as of forfanterie de vice. But the astonishing excellence of the literary medium in which they are conveyed is even more remarkable than the general soundness of their ethical import. In uniting the four qualities of brevity, clearness, fulness of meaning and point, La Rochefoucauld has no rival. His Maxims are never mere epigrams; they are never platitudes; they are never dark sayings. He has packed them so full of meaning that it would be impossible to pack them closer, yet there is no undue compression; he has sharpened their point to the utmost, yet there is no loss of substance. The comparison which occurs most frequently, and which is perhaps on the whole the justest, is that of a bronze medallion, and it applies to the matter no less than to the form. Nothing is left unfinished, yet none of the workmanship is finical. The sentiment, far from being merely hard, as the sentimentalists pretend, has a vein of melancholy poetry running through it which calls to mind the traditions of La Rochefoucauld's devotion to the romances of chivalry. The maxims are never shallow; each is the text for a whole sermon of application and corollary which any one of though and experience can write. Add to all this that the language in which they are written is French, still at almost its greatest strength, and chastened but as yet not emasculated by the reforming influence of the 17th century, and it is not necessary to say more. To the literary critic no less than to the man of the world La Rochefoucauld ranks among the scanty number of pocket-books to be read and re-read with ever new admiration, instruction and delight. The editions of La Rochefoucauld's Maxims (as the full title runs Réflexions ou sentences et maximes morales) published in his lifetime bear the dates 1665 (editio princeps), 1666, 1671, 1675, 1678. An important edition which appeared after his death in 1693 may rank almost with these. As long as the Memoirs remained in the state above described, no edition of them need be mentioned, and none of the complete works was possible. The previous more or less complete editions are all superseded by that of Gilbert and Gourdault (1868-83), in the series of "Grands Écrivains de la France", 3 vols. There are still some puzzles as to the text; but this edition supplies all available material in regard to them. The handsomest separate edition of the Maxims is the so-called Edition des bibliophiles (1870); but cheap and handy issues are plentiful. An English version was prepared by by G. H. Powell in 1903.